Cities with population of more than one million should have urban bus Transport Corporation that owns 30 percent of its own buses and contracts 70 percent of buses from private contractors and operators. Motivated by this World Bank recommendation note on 'India's Transport Sector, The Challenges Ahead (2002)' Mr. Vivek Aggarwal, Collector and District Magistrate, Indore conceptualized a financial model of public transport system through private partnership where in every player whether Government, the spv, local administration, operators and people are mutually benefited. Looking to the high potential for development of competitive bus transport market through contracting or franchising arrangements, a Special Purpose Vehicle as a public limited company was formed which specifies the role of the market and government. 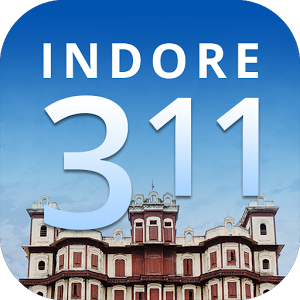 It was felt that cities like Indore should develop their own regulatory and enforcement capabilities to promote city service competition and put in place a mechanism that will ensure financial viability of such operations. The main source of revenue for the company is the monthly premium amount received from the bus operators, advertising revenue and the share of revenue generated through passes. The sources of revenue for the bus operators are the daily fare box collection, share of revenue generated through advertising on buses and monthly passes. Cost effective and substantial finances to the operators has been made available by the bank. Operators were financed 100% by the bank and an agreement has been executed between the company, the bank and the operators to have an escrow account. Infocrats Web Solutions Pvt. Ltd.